Abstract: This talk will cover the design, implementation, and deployment of new cryptography to solve security issues that arise in real-world applications. Providing security for practically-deployed systems requires a new approach to cryptography, one that begins with the context in which cryptographic protocols will be used and reasons backwards in order to obtain the necessary security properties. This talk will cover two examples of this approach. First, I will take a detailed look at confidentiality for payments and how to solve the privacy failures of blockchain protocols such as Bitcoin. I will detail the design, implementation, and commercial deployment of Zcash, the first system to offer confidentiality while preserving public verifiability for cryptocurrencies. Next, I will explore cryptography in the context of securing data against breaches, considering the reality that attackers will gain access to cryptographic key material --- thus rendering traditional encryption ineffective. I will show how to use new applications of puncturable encryption to address these vulnerabilities for messaging and device encryption. Biography: Ian Miers is a postdoctoral researcher at Cornell Tech working on computer security and applied cryptography. His research focuses on making systems secure by exploring cryptography in the context of real world problems. This includes Zerocoin and Zerocash, the first systems to provide strongly confidential payments on top of public blockchains and work improving secure messaging including attacks on Apple's iMessage protocol and new techniques for puncturable forward secure encryption. His work has been featured in The Washington Post, The New York Times, The Economist, and denounced in at least two editorials. He is one of the founders of Zcash, a privacy preserving cryptocurrency based on Zerocash. Abstract: What would it mean for a machine to see the world? Computer vision has recently made great progress on problems such as finding categories of objects and scenes, and poses of people in images. However, studying such tasks in isolated disembodied contexts, divorced from the physical source of their images, is insufficient to build intelligent visual agents. My research focuses on remarrying vision to action, by asking: how might vision benefit from the ability to act in the world, and vice versa? Could embodied visual agents teach themselves through interaction and experimentation? Are there actions they might perform to improve their visual perception? How might they construct visual plans to achieve long-term action goals? In my talk, I will set up the context for these questions, and cover some strands of my work addressing them, proposing approaches for self-supervised learning through proprioception, visual prediction for decomposing complex control tasks, and active perception. Finally, I will discuss my long-term vision and directions that I hope to work on in the next several years. Biography: Dinesh Jayaraman is a postdoctoral scholar at UC Berkeley. He received his PhD from UT Austin (2017) and B. Tech from IIT Madras (2011). His research interests are broadly in computer vision, robotics, and machine learning. In the last few years, he has worked on visual prediction, active perception, self-supervised visual learning, visuo-tactile robotic manipulation, semantic visual attributes, and zero-shot categorization. He has received an ACCV Best Application Paper Award (2016), a Samsung PhD Fellowship (2016), a UT Austin Graduate Dean's Fellowship (2016), and a Microelectronics and Computer Development Fellowship Award (2011). He has published in and reviewed for conferences and journals in computer vision, machine learning, and robotics, received a CVPR Outstanding Reviewer Award (2016), is as an Area Chair for NeurIPS (2018 & 2019). Abstract: Programming has started to become an essential skill for an increasing number of people, including novices without formal programming background. As a result, there is an increasing need for technology that can provide basic programming support to such non-expert computer end-users. Program synthesis, as a technique for automatically generating programs from high-level specifications, has been used to automate real-world programming tasks in a number of application domains (such as spreadsheet programming and data science) that non-expert users struggle with. However, developing specialized synthesizers for these domains is notoriously hard. Biography: Xinyu Wang is a PhD candidate at UT Austin advised by Isil Dillig. He works at the intersection of programming languages, software engineering and formal methods. He is interested in developing foundational program synthesis techniques that are applicable to automating real-world programming tasks. Abstract: Story Creation Games, such as Rory's Story Cubes and the Tell Tale card game, require players to invent creative and coherent narratives from a set of unconnected elements assembled by random chance, e.g., the throw of a die or the draw of a card. Often producing comical and entertaining storylines, these games also demonstrate the remarkable human capacity for sense-making, where one's knowledge and experience is used to explain the co-occurrence of novel combinations of observations. In this talk, I describe our recent efforts to build a computer program that could successfully play story creation games. We view this task as an interpretation problem, where the aim is to identify a coherent narrative where each narrative element plays a structural role. Our approach is to solve this interpretation problem using logical abduction, searching for sets of narrative assumptions that logically entail each of the given narrative elements. The search proceeds by backchaining from narrative elements through a knowledge base of narrative and causal axioms expressed as first-order definite clauses, unifying assumptions wherever possible. After finding connected solutions that entail the given set of narrative elements, the structure of the proof graphs are then used to generate the natural language text representation of the interpretation. In this talk, I demonstrate this approach in generating eight creative narratives given the same set of three Tell Tale cards, depicting a train, a baseball player, and the symbol of a heart. These examples demonstrate that logical abduction is well-suited to this task, but also underscore the enormous knowledge bottleneck that must be overcome to play this game with arbitrary cards. I contrast our approach with recent efforts to generate narrative text using deep neural networks trained with narrative corpora, and discuss whether these approaches fundamentally change the nature of this knowledge bottleneck. Biography: Andrew S. Gordon is Research Associate Professor of Computer Science and Director of Interactive Narrative Research at the Institute for Creative Technologies at the University of Southern California. His research advances technologies for automatically analyzing and generating narrative interpretations of experiences. A central aim of his research is the large-scale formalization of commonsense knowledge, and reasoning with these formalizations using logical abduction. He is the author of the 2004 book "Strategy Representation: An Analysis of Planning Knowledge," and the 2017 book "A Formal Theory of Commonsense Psychology: How People Think People Think" (with Jerry R. Hobbs). He received his Ph.D. in 1999 from Northwestern University. Abstract: The enormous rise in the scale, scope, and complexity of software projects has created a thriving marketplace for program analysis and verification tools. Despite routine adoption by industry, developing such tools remains challenging, and their designers must carefully balance tradeoffs between false alarms, missed bugs, and scalability to large codebases. Furthermore, when tools fail to verify some program property, they only provide coarse estimates of alarm relevance, potential severity, and of the likelihood of being a real bug, thereby limiting their usefulness in software projects with large teams. I will present a framework that extends contemporary program reasoning systems with rich probabilistic models. These models emerge naturally from the program structure, and probabilistic inference refines the deductive process of the underlying system. In experiments with large programs, such probabilistic graphical representations of program structure enable an order-of-magnitude reduction in false alarm rates and invocations of expensive reasoning engines such as SMT solvers. To the analysis user, these techniques offer a lens by which to focus their attention on the most important alarms and a uniform method for the tool to interactively generalize from human feedback. To the analysis designer, they offer novel opportunities to leverage data-driven approaches in analysis design. And to researchers, they offer new challenges while performing inference in models of unprecedented size. I will conclude by describing how these ideas promise to underpin the next generation of intelligent programming systems, with applications in diverse areas such as program synthesis, differentiable programming, and fault localization in complex systems. Biography: Mukund Raghothaman is a postdoctoral researcher at the University of Pennsylvania. His research spans the areas of programming languages, software verification, and program synthesis, with the ultimate goal to help programmers create better software with less effort. He previously obtained a Ph.D. in 2017, also from the University of Pennsylvania, where he developed programming abstractions for data stream processing systems. Abstract: Nonlinearity influenced dynamics occurs in a variety of mechanical and structural systems. For operations of many of these systems, noise is often viewed as being undesirable. However, the interplay between noise and nonlinearity in a system can result in significant response changes that can be beneficial to a systems performance. In this spirit, the work carried out to further our understanding on the constructive use of noise in a nonlinear system to realize noise-enhanced responses, noise-enabled stabilization, and noise-assisted response steering will be discussed. Efforts undertaken with partial control will be discussed. Representative physical systems that will be considered include coupled oscillator arrays at the micro-scale and macro-scale, flexible rotor systems, and pendulum systems. The findings of these studies are expected to be relevant to a variety of different nonlinear, mechanical and structural systems. Some thoughts on future directions in the realm of applied nonlinear dynamics will be presented to close the talk. Bala Balachandran received his B. Tech (Naval Architecture) from the Indian Institute of Technology, Madras, India, M.S. (Aerospace Engineering) from Virginia Tech, Blacksburg, VA and Ph.D. (Engineering Mechanics) from Virginia Tech. Currently, he is a Minta Martin Professor of Engineering at the University of Maryland, where he has been since 1993. His research interests include nonlinear phenomena, dynamics and vibrations, and control. The publications that he has authored/co-authored include over ninety journal publications, a Wiley textbook entitled Applied Nonlinear Dynamics: Analytical, Computational, and Experimental Methods (1995, 2006), a third edition of a textbook entitled Vibrations (2019) by Cambridge University Press, and a co-edited Springer book entitled Delay Differential Equations: Recent Advances and New Directions (2009). He holds four U.S. patents and one Japan patent, three related to fiber optic sensors and two related to atomic force microscopy. He is a Contributing Editor of the International Journal of Non-Linear Mechanics and the Editor of the ASME Journal of Computational and Nonlinear Dynamics. He is a Fellow of ASME and AIAA. pleasing interpretations or especially simple proofs and/or insights. Biography: Professor Leonard Kleinrock is Distinguished Professor of Computer Science at UCLA. Computer Science at UCLA since then, and was department Chairman from 1991-1995.
authored six books, and has supervised the research for 50 Ph.D. students. Abstract: The insecurity of Internet services can lead to disastrous consequences -“ confidential communications can be monitored, financial information can be stolen, and our critical Internet infrastructure can be crippled. However, many prior works on Internet services only focus on the security of an individual network layer in isolation, whereas the adversaries do quite the opposite -“ they look for opportunities to exploit the interactions across heterogeneous components and layers to compromise the system security. This gap leaves the privacy and security of billions of users as well as our critical infrastructure at risk. Biography: Yixin Sun is a PhD candidate in Computer Science at Princeton University. Her research focuses on building privacy-preserving and secure networked systems. She received the Information Controls Fellowship from the Open Technology Fund, the SEAS Award for Excellence from Princeton, and the EECS rising star from MIT. Throughout her career, Yixin has collaborated with many industrial labs and non-profit organizations, such as the Tor Project, Let's Encrypt, Verisign Labs, NEC Labs and International Computer Science Institute (ICSI). Previously, Yixin received her Bachelor's degree in Computer Science and Mathematics from the University of Virginia. Abstract: Layered abstractions in the computing stack are critical to building complex systems, but the existing *interfaces* between layers restrict what can be done at each level. Enhancing cross-layer interfaces--specifically, the hardware-software interface--is crucial towards addressing two important and hard-to-solve challenges in computer systems today: First, significant effort and expertise are required to write high-performance code that harnesses the full potential of today's diverse and sophisticated hardware. Second, as a hardware or system designer, architecting faster and more efficient systems is challenging as the vast majority of the program's semantic content and programmer intent gets lost in translation with today's hardware-software interface. Moving towards the future, these challenges in programmability and efficiency will be even more intractable as we architect increasingly heterogeneous and sophisticated systems. In this talk, I will highlight my work [ISCA'15, MICRO'16, ISCA'18, ISCA'18] on how to design rich cross-layer abstractions that provide layered interfaces to directly communicate higher-level program semantics and intent from the application to the lower levels of the stack. In doing so, we can effectively bridge the so-called "semantic gap" between applications and computer systems, and enable a wide range of cross-layer optimizations in future systems with a single unifying interface. I will discuss how cross-layer approaches with these abstractions can significantly enhance (1) performance and efficiency by enabling the system to adapt to application characteristics and (2) programmability and portability by enabling application software to easily leverage diverse underlying hardware resources without specific knowledge of system details. For example, daunting aspects of programming GPUs can be made much simpler with a rich cross-layer programming abstraction. I will describe how such abstractions can be designed to be highly practical and low-overhead, requiring only small additions to existing abstractions. Biography: Nandita Vijaykumar is a Ph.D. candidate at Carnegie Mellon University, advised by Prof. Onur Mutlu and Prof. Phillip Gibbons. She is also currently a visiting student at ETH Zurich. Her research focuses on the interaction between programming models, system software, and hardware architecture in an increasingly diverse compute landscape, with a focus on memory systems and modern accelerators like GPUs. She is excited about enabling cross-layer full-stack solutions to make future systems highly efficient and easy-to-program. She is the recipient of the Benjamin Garver Lamme/Westinghouse Fellowship at CMU. During her Ph.D., she has been fortunate to intern at Microsoft Research, Nvidia Research, and Intel Labs. Abstract: Why is robotic manipulation so hard? As humans, we are unrivaled in our ability to dexterously manipulate objects and exhibit complex skills seemingly effortlessly. Recent research in cognitive science suggests that this ability is driven by our internal representations of the physical world, built over a life-time of experience. Our predictive ability is complemented by our senses of sight and touch, intuitive state-estimation, and tactile dexterity. Given the complexity of human reasoning, skill, and hardware, it is not surprising that we have yet to replicate our abilities in robots. In order to bridge this gap, we must develop robotic systems that build their understanding and interpretation of the physical world through contact. Using experiments as tools, these Galilean Robots will distill their experiences into models of the physical world. In this talk, I will present some of my work spanning the spectrum of analytical to fully data driven methodologies for model building and inference through contact. I believe that Galilean Robots need to master tools from this spectrum for intelligent and dexterous manipulation. First, I will discuss a methodology for the inference of contact forces and system parameters of rigid bodies systems making and breaking contact. I will then touch on data augmented contact models for controls as a medium between analytical and data driven techniques. I will show how a robot can learn the physics of playing Jenga using a hierarchical learning methodology purely from data. I will conclude the talk by providing perspectives on building Galilean Robotic systems that embody intelligent manipulation. Nima Fazeli is a PhD student with the Mechanical Engineering Department at MIT, working with Prof. Alberto Rodriguez. His research focuses on enabling intelligent and dexterous robotic manipulation by developing novel tools combining analytical methods, machine learning, and cognition/AI. During his PhD, Nima has developed inference algorithms for robotic systems undergoing frictional contact, performed empirical evaluations of contact models, demonstrated data-augmented contact models for manipulation, and developed a robotic system capable of learning the physics of playing Jenga using a hierarchical learning methodology. Nima received his masters from the University of Maryland at College Park where he spent most of his time developing analytical and data-driven models of the human (and, on occasion, swine) arterial tree together with novel inference algorithms to diagnoses cardiovascular diseases. His research has been supported by the Rohsenow Fellowship and featured in outlets such as CBS, CNN, and the BBC. He looks forward to robots playing and learning alongside his grandchildren. Refreshments will be served at 10:45 AM. Abstract: As our world grows more complex, the expectations we place on the networked systems running our society's infrastructure grow more demanding. In this talk, I will discuss two types of emerging demands and present infrastructure systems we have developed to meet those demands. The first part of the talk will focus on the demanding performance requirements brought by emerging highly interactive applications such as remote robotic manipulation, remote surgery, and collaborative virtual reality. These applications require communication that is both timely and highly reliable, but the Internet natively supports only communication that is either completely reliable with no timeliness guarantees (e.g. TCP) or timely with only best-effort reliability (e.g. UDP). We present an overlay transport service that can provide highly reliable communication while meeting the stringent timeliness requirements of these applications. The second part of the talk will address the demanding security and resilience needs of critical infrastructure services, in particular SCADA systems for the power grid, that are increasingly becoming exposed to malicious attacks. I will present our work building Spire, the first intrusion-tolerant SCADA system for the power grid that is resilient to both system-level compromises and sophisticated network-level attacks. Biography: Amy Babay recently completed her PhD in Computer Science at Johns Hopkins University, where she was a member of the Distributed Systems and Networks Lab. Her research focuses on enabling new Internet services with demanding performance requirements and on building dependable critical infrastructure systems. Prior to starting her PhD, she gained experience with global overlay networks in the commercial world, working at LTN Global Communications. She is currently working to advance some of her research toward commercialization at Spread Concepts LLC. FAB 2019 is a symposium in the emerging area of blockchain technology and its applications. It brings together blockchain researchers and practitioners from academia and industry to share results and exchange experiences. This one-day event is held at the beautiful campus of the University of Southern California. The symposium features an exciting program of four peer-reviewed papers from premier institutions around the world, keynotes from academia and industry, and a timely panel on the future of blockchain. See https://scfab.github.io/2019/schedule.html for the detailed program. The registration site for FAB 2019 is now open, visit https://scfab.github.io/2019/registration.html to register. Please note that in order to attend, you must be registered. The Women in Engineering Student-Faculty Networking Lunch provides an opportunity for female engineering students to learn more about Viterbi faculty including their background, research, passion for engineering, and more! Speaker: Scott Huennekens, (Retired) President & CEO, Verb Surgical Inc.
Viterbi Career Connections would like to invite you to attend our Career & Internship Boot Camp on Friday, April 5th, from 1:00 pm- 4:15 pm. Any questions? Call 213.740.9677 or e-mail vcareers@usc.edu. Abstract: Implantable and wearable medical devices are increasingly being developed as alternative therapies for intractable diseases. In particular, undertreated neurological disorders such as epilepsy, migraine, and Alzheimer's disease are of major public health concern around the world, driving the need to explore such new approaches. Despite significant advances in neural interface systems, the small number of recording channels in existing technology remains a barrier to their therapeutic potential. This is mainly due to the fact that simultaneous recording from a large number of electrodes imposes stringent energy and area constraints on the integrated circuits that interface with these electrodes. In this talk, I will first discuss an efficient compressive sensing framework for multichannel cortical implants. Next, I will present the design of our sub-microwatt per channel closed-loop seizure control device and both its in-vivo and offline performance. I will then discuss our latest work on the integration of machine learning algorithms for on-chip classification of neural data. Finally, I will give examples of how these results may be used towards designing new devices, to enhance the lives of millions of people suffering from disabling neurological conditions in future. Biography: Mahsa Shoaran is currently an Assistant Professor in the School of Electrical and Computer Engineering at Cornell University. Prior to joining Cornell, she was a postdoctoral fellow in Electrical Engineering and Medical Engineering at the California Institute of Technology. She received her PhD from EPFL in 2015 and her B.Sc. and M.Sc. from Sharif University of Technology. Her research interests broadly include circuit, system, and algorithm design for diagnostic and therapeutic applications. Mahsa is a recipient of the 2019 Google Faculty Research Award, the Early and Advanced Swiss National Science Foundation Postdoctoral Fellowships, and the NSF Award for Young Professionals Contributing to Smart and Connected Health. She was named a Rising Star in EECS by MIT in 2015. Abstract: The study of ignition dynamics is important for a wide range of safety,environmental, and transportation applications. This talkpresentsexperimental and numerical investigations of the processes leading to ignition of reactive gaseous mixturesin the presence of ignition sources-”specifically, hot surfaces and compressive devices. Anovel experimental techniqueis presented whichgeneratesrepeatable high-temperature particles that can be injected intoa reactive environment. An interferometer that makes useof large-angle dual birefringent prisms performshigh-speed temperature imaging of the particle injection and subsequent ignition and flamepropagation of the reactive gas. The interferometer is a combination ofa differential and Mach-Zehnder interferometer and is highly stable in aninfinite fringe configuration. Numerical workanalyzesthechemical kinetics of a reactive gaseous mixture adjacent to a hot surface.A simplified expression of the thermal boundary layer growth is presentedbased on a variation of the Rayleigh problem; the use of a simplifiedexpression rather than three-dimensional calculations allows us to use adetailed chemical kinetic mechanism to simulate the chemistry while stillsaving on computational cost. Lastly, a novel experimentfor compression ignition testing of reactive gasis described. The experiment makesuse of a water column rather than a solid piston to compress a pocket ofreactive gas. The compression process leads to the formation of a multi-phase mixture consisting of reactive gas, water droplets, and water vapordue to the development of Richtmyer-Meshkovand Rayleigh-Taylor instabilities. Hydrocarbon-air and hydrogen-oxygenreactive mixtures are used in these investigations to simulate potentialexplosion hazards in the aviation and nuclear sectors. Biography: Stephanie Coronel is a postdoctoral appointee at Sandia NationalLaboratories working in the Energetic Materials Dynamic & Reactive Science Department. Her research broadly focuses on abnormal thermal response of energetic materials as well as diagnostic development. Prior tojoining Sandia, she was a postdoctoral scholar at GALCIT (Caltech). She received her Ph.D. in Aeronautics from Caltech in 2016, where she workedfor Professor Joseph E. Shepherd on experimental combustion in the Explosion Dynamics Laboratory. She received her B.S. in Aerospace Engineering from the University of Texas at Arlington in 2009 and an M.S. inAeronautics from Caltech in 2010. Her Ph.D. research focused on experimental and numerical ignition in thermal boundarylayers. Biography: Yuke Zhu is a final year Ph.D. candidate in the Department of Computer Science at Stanford University, advised by Prof. Fei-Fei Li and Prof. Silvio Savarese. His research interests lie at the intersection of robotics, computer vision, and machine learning. His work builds machine learning and perception algorithms for general-purpose robots. He received a Master's degree from Stanford University and dual Bachelor's degrees from Zhejiang University and Simon Fraser University. He also collaborated with research labs including Snap Research, Allen Institute for Artificial Intelligence, and DeepMind. Abstract: Integrating autonomous robots into safety-critical settings requires reasoning about uncertainty at all levels of the autonomy stack. In this talk, I will present novel algorithmic tools leveraging Lyapunov-based analysis, convex optimization, and risk measures to address robustness in robotic motion planning and decision-making under uncertainty. In the first part of the talk, by harnessing the theories of incremental stability and contraction, I will describe a unified framework for synthesizing robust trajectory tracking controllers for complex underactuated nonlinear systems with analytical bounded-input-bounded-output disturbance rejection guarantees. These results will be combined with computational tools drawn from semi-infinite convex programming to design real-time motion planning algorithms with certifiable safety guarantees. In addition, I will illustrate how to leverage these tools for sample-efficient model-based reinforcement learning with control-theoretic guarantees. In the second part of the talk, I will describe a framework for lifting notions of robustness from low-level motion planning to higher-level sequential decision-making using the theory of risk measures. Specifically, by leveraging a specific class of risk measures with favorable axiomatic foundations, I will demonstrate how to design decision-making algorithms with tuneable robustness properties. I will then discuss a novel application of this framework to inverse reinforcement learning for humans in safety-critical scenarios. The domains of aerial robotics and autonomous cars will be used throughout the talk as running examples. Biography: Sumeet Singh is a Ph.D. candidate in the Autonomous Systems Lab in the Aeronautics and Astronautics Department at Stanford University. He received a B.Eng. in Mechanical Engineering and a Diploma of Music (Performance) from University of Melbourne in 2012, and a M.Sc. in Aeronautics and Astronautics from Stanford University in 2015. Prior to joining Stanford, Sumeet worked in the Berkeley Micromechanical Analysis and Design lab at the University of California, Berkeley in 2011 and the Aeromechanics Branch at NASA Ames in 2013. Sumeet's research interests include (1) Robust motion planning for constrained nonlinear systems, (2) Risk-sensitive inference and decision-making with humans in-the-loop, and (3) Design of verifiable learning architectures for safety-critical applications. Sumeet is the recipient of the Stanford Graduate Fellowship (2013-2016), the most prestigious Stanford fellowship awarded to incoming graduate students, and the Qualcomm Innovation Fellowship (2018). Talk Title: If agents could talk, what should they say? Abstract: The goal in networked control of multiagent systems is to derive desirable collective behavior through the design of local control algorithms. The information available to the individual agents, either through sensing or communication, invariably defines the space of admissible control laws. Hence, informational restrictions impose constraints on the achievable performance guarantees. The first part of this talk will provide one such constraint with regards to the efficiency of the resulting stable solutions for a class of distributed submodular optimization problems. Further, we will also discuss how strategic information exchange can help mitigate these degradations. The second part of this talk will focus on how agents should utilize available information to optimize the efficiency of the emergent collective behavior. In particular, we will discuss a methodology for optimizing the efficiency guarantees (i.e., price of anarchy) in distributed resource allocation problems through the design of local agent objective functions. Lastly, we will highlight some unintended consequences associated with these optimal designed agent objective functions -“ optimizing the performance of the worst-case equilibria (i.e., price of anarchy) often comes at the expense of the best-case equilibria (i.e., price of stability). Biography: Jason R. Marden is an Associate Professor in the Department of Electrical and Computer, Engineering at the University of California, Santa Barbara. Jason received a BS in Mechanical Engineering in 2001 from UCLA, and a PhD in Mechanical Engineering in 2007, also from UCLA, under the supervision of Jeff S. Shamma, where he was awarded the Outstanding Graduating PhD Student in Mechanical Engineering. After graduating from UCLA, he served as a junior fellow in the Social and Information Sciences Laboratory at the California Institute of Technology until 2010 when he joined the University of Colorado. In 2015, Jason joined the Department of Electrical and Computer Engineering at the University of California, Santa Barbara. Jason is a recipient of the ONR Young Investigator Award (2015), NSF Career Award (2014), the AFOSR Young Investigator Award (2012), the American Automatic Control Council Donald P. Eckman Award (2012), and the SIAM/SGT Best Sicon Paper Award (2015). Furthermore, Jason is also an advisor for the students selected as finalists for the best student paper award at the IEEE Conference on Decision and Control (2011, 2016, 2017). Jason's research interests focus on game theoretic methods for the control of distributed multiagent systems. Abstract: While human tissues and organs are mostly soft and curvy; conventional electronics are hard and planar. Seamlessly merging electronics with human is of imminent importance in addressing grant societal challenges in health and joy of living. However, the main challenge lies in the huge mechanical mismatch between the current form of rigid electronics and the soft curvy nature of biology. In this talk, I will first describe a new form of electronics, namely rubbery electronics, with skin-like softness and stretchability, which is constructed based upon elastic rubbery electronic materials. As the core basis of rubbery electronics, rubbery semiconductor has been developed through composite engineering based on commercial available materials and manufactured in a scalable and reliable manner. These manufacturing and device innovations set a foundation to realize fully rubbery electronics, circuits and sensors. In particular, rubbery transistors, logic gates, integrated electronics, sensors, smart skins, implants, neuro devices, and integrated function systems will be demonstrated. In the second part of the talk, I will introduce the invention and development of conformal additive stamp (CAS) printing, a novel, reliable and versatile manufacturing technology for developing 3D curvy electronics. Electronics with 3D curvilinear layouts, especially in the size range from millimeter to centimeter with accuracy of microns, are technically very challenge to build. The major hurdle lies in the lack of a proper manufacturing technology. CAS printing has therefore been developed to solve this long-standing manufacturing challenge. Systematic understanding and extensive employment of CAS printing for various curvy electronics will be presented to illustrate its manufacturing fidelity. Devices such as smart contact lens with integrated sensors and electronics for multiple diagnostic functions will be demonstrated. Soft and curvy electronics have open a new paradigm for personal healthcare, medical diagnosis, biological studies, human-machine interfaces, soft machines, etc. Cunjiang Yu is currently the Bill D. Cook Assistant Professor of Mechanical Engineering at the University of Houston, with joint appointments in Electrical and Computer Engineering, Materials Science and Engineering, and Biomedical Engineering. He completed his Ph.D. in Mechanical Engineering within three years at Arizona State University in 2010 and was trained as a postdoc at the University of Illinois at Urbana-Champaign before joining University of Houston in 2013. Dr. Yu was a recipient of NSF CAREER Award, ONR Young Investigator Award, MIT Technology Review 35 Top Innovators under the age of 35 -“ TR35 China, Society of Manufacturing Engineers Outstanding Young Manufacturing Engineer Award, Young Investigator Awards from American Vacuum Society and American Chemical Society, 3M Non-Tenured Faculty Award, and a few research and teaching awards at University of Houston. His recent research has been reported or highlighted by many media outlets, such as Time, Discovery, BBC News, NBC News, Science News, USA Today, etc. Refreshments will be served at 3:15 pm. Abstract: We have developed the ALAMO methodology with the aim of producing a tool capable of using data to learn algebraic models that are accurate and as simple as possible. ALAMO relies on (a) integer nonlinear optimization to build low-complexity models from input-output data, (b) derivative-free optimization to collect additional data points that can be used to improve tentative models, and (c) global optimization to enforce physical constraints on the mathematical structure of the model. We present computational results and comparisons between ALAMO and a variety of learning techniques, including Latin hypercube sampling, simple least-squares regression, and the lasso. We also describe results from applications in CO2 capture that motivated the development of ALAMO. Abstract: Transportation systems today will soon be transformed profoundly due to two recent technology advances: Connected Vehicle (CV) and Autonomous Vehicle (AV). Such transformation leads to the creation of a series of next-generation transportation systems which can substantially improve the quality of our everyday life. However, this also brings new features and operation modes into the transportation ecosystem, e.g., network connectivity and machine learning based sensing, which may introduce new security problem and challenges. In this talk, I will describe my current research that initiates the first effort towards systematically understanding the robustness of the software-based control in CV and AV systems. Biography: Qi Alfred Chen is an Assistant Professor in the Department of Computer Science at UCI. His research interest is network and systems security, and addressing security challenges through systematic problem analysis and mitigation. His work has high impact in both academic and industry with over 10 top-tier conference papers, a DHS US-CERT alert, multiple CVEs, and over 50 news articles by major news media such as Fortune and BBC News. Abstract: Hemostatic plug formation upon blood vessel breach is initiated by platelet recruitment, activation and aggregation in concert with thrombin generation and fibrin formation. However, a similar process can also lead to pathological processes including deep vein thrombosis, ischemic stroke, or myocardial infarction, among others. We have developed narrow mechanism-specific agents targeting the intrinsic pathway of coagulation and demonstrated that experimental thrombosis and platelet production in primates is interrupted by selective inhibition of activation of coagulation factor (F)XI by FXIIa. In this seminar, I will present new data on the role of the endothelium in inactivating FXI, as well as studies on whether inhibiting FXI is beneficial in a non-human primate model of sepsis. I will present our first data from our clinical trial on the safety of inhibition of FXI, and plans to test the efficacy of FXI inhibition in dialysis. The understanding of the mechanisms by which the intrinsic pathway of coagulation promotes thrombus formation may support the rationale for the development of selective, safe and effective antithrombotic strategies targeting FXI. Owen McCarty, a native of Rochester, received his B.S. in Chemical Engineering from SUNY Buffalo, and a Ph.D. degree in Chemical Engineering from Johns Hopkins University, where his research focused on the identification and characterization of tumor cell receptors for blood platelets and leukocytes. He performed his postdoctoral research on platelet cell biology in the Pharmacology Department at the University of Oxford and University of Birmingham, UK in the group of Dr. Steve Watson. Dr. McCarty joined Oregon Health & Science University in 2005, where he holds an appointment as a Professor in the Departments of Biomedical Engineering and Cell, Developmental & Cancer Biology and the Division of Hematology & Medical Oncology in the OHSU School of Medicine. Dr. McCarty serves as the Chair of the Biomedical Engineering Department and a fellow of the American Heart Association. Abstract: Developmental psychologists often invoke the idea that human development reflects "dynamic systems"-”complex, non-linear processes (e.g., physiological, neural, psychological, behavioral) that organize the way we adapt to changing contextual demands. In practice, however, these complexities often serve more as theoretical touchstones than purposeful targets of investigation. In this presentation, Dr. Berry introduces some of the ways that we've begun to leverage the time-series dynamics of visual gaze, behavior, and autonomic physiology as a means of better understanding these complexities in children's self-regulation development. Biography: Daniel Berry is an Assistant Professor at the Institute of Child Development, University of Minnesota. His research concerns the "real-time" and long-term role of context in children's self-regulation development. Abstract: Heterogeneous system designs have allowed computing efficiency to scale past fundamental constraints of transistors. Such systems are now the computation workhorses behind everyday technology, from speech recognition trained on clusters of GPUs, to efficient SoC designs in mobile phones. However, programming for these systems presents many challenges, specifically in orchestrating synchronization. Examining general purpose GPU (GPGPU) programming is a pragmatic start towards general heterogeneous reasoning, as GPGPU programming models expose hardware specialization and heterogeneous-aware constructs. In this talk, I discuss my work in this area, which has identified important areas of under-specification in GPGPU programming and laid the foundations for specification repairs. First, I will present work on testing memory consistency models, i.e. the rules governing fine-grained communication, for GPGPUs. This work exposed wide-spread confusion in the GPGPU community, including identifying programming errors in two Nvidia-endorsed textbooks. Second, I will present work on GPGPU forward progress models, which defines a progress abstraction that allows cross-vendor GPGPU global barrier synchronization. This can then be used in an optimization for GPGPU graph traversal applications, achieving over a 10x speedup on Intel and AMD GPUs. The talk concludes by showing that GPGPU reasoning is a natural foundation for future work targeting general heterogeneous programming. FSE'17) and presented to major GPU vendors, including Nvidia, AMD and ARM. Tyler received his MS/BS from University of Utah, where he received the 2014 Outstanding Senior Award. He has done internships at both Microsoft Research and Nvidia. Abstract: Algorithms play a vital role in curating online information in socio-technical systems, however, they are usually housed in black-boxes that limit users' understanding of how an algorithmic decision is made. While this opacity partly stems from protecting intellectual property and preventing malicious users from gaming the system, it is also designed to provide users with seamless, effortless system interactions. However, this opacity can result in misinformed behavior among users, particularly when there is no clear feedback mechanism for users to understand the effects of their own actions on an algorithmic system. The increasing prevalence and power of these opaque algorithms coupled with their sometimes biased and discriminatory decisions raise questions about how knowledgeable users are and should be about the existence, operation and possible impacts of these algorithms. In this talk, I will address these questions by exploring ways to investigate users' behavior around opaque algorithmic systems. I will then present new design techniques that communicate opaque algorithmic processes to users and provide them with a more informed, satisfying, and engaging interaction. In doing so, I will add new angles to the old idea of understanding the interaction between users and automation by designing around algorithm sensemaking and transparency. Biography: Motahhare Eslami is a Ph.D. Candidate in Computer Science at the University of Illinois at Urbana-Champaign, where she is advised by Karrie Karahalios. Motahhare's research develops new communication techniques between users and opaque algorithmic socio-technical systems to provide users a more informed, satisfying, and engaging interaction. Her work has been recognized with a Google PhD Fellowship, Best Paper Award at ACM CHI, and has been covered in mainstream media such as Time, The Washington Post, Huffington Post, the BBC, Fortune, and Quartz. Motahhare is also a Facebook and Adobe PhD fellowship finalist, and a recipient of C.W. Gear Outstanding Graduate Student Award, Saburo Muroga Endowed Fellowship, Feng Chen Memorial Award, Young Researcher in Heidelberg Laureate Forum and Rising Stars in EECS. 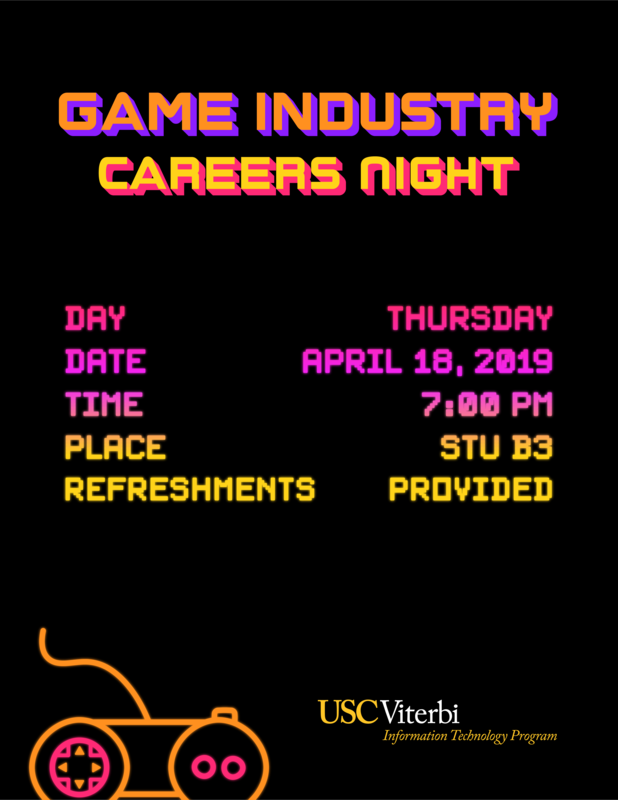 Join AAAI for a night of fun AI games, free food and drinks, and interesting conversations about the world of Artificial Intelligence with fellow Trojans and professors involved in the field of AI at USC! Students from all backgrounds are encouraged to come! - FREE FOOD AND DRINKS!! Abstract: A single design defect can wreak havoc across thousands of deployed instances of autonomous systems or cyber-physical systems (CPS) such as self-driving cars, drones, and medical devices. Can rigorous approaches based on formal methods and control theory improve safety in autonomous systems by transforming the conventional trial-and-error paradigm? Verification and synthesis for typical models of real-world autonomous systems and CPS are well-known to be hard due to their high dimensionality, nonlinearities, and their nondeterministic and hybrid nature. In this talk, I will present new verification and synthesis algorithms which suggest that these challenges can be overcome and that rigorous approaches are indeed promising. The common ingredient underlying my algorithms is automated sensitivity analysis, which leads to semi-decision procedures for verification and synthesis, with soundness, completeness, and optimality guarantees. I will introduce the first bounded safety verification algorithm for nonlinear hybrid systems. This data-driven algorithm, which is the basis for the C2E2 tool, can also be used for compositional verification of networked and distributed autonomous systems. Then I will present my work on the DryVR framework, which is the first approach that can verify real-world CPS with incomplete or imprecise mathematical models. The final part of my talk will rely on symbolic sensitivity analysis with applications in control synthesis for large linear systems with disturbances. I will discuss successful applications in autonomous driving scenarios, powertrain control, circuits, and medical devices as examples to show the power of these tools for solving challenging problems in a wide range of engineering domains. Biography: Chuchu Fan is a Ph.D. candidate in the Electrical and Computer Engineering at the University of Illinois at Urbana-Champaign. She received her Bachelor's degree from Tsinghua University, Department of Automation in 2013. Her research interests are in the areas of formal methods and control for safe autonomy. She is a recipient of multiple prestigious awards including Mavis Future Faculty Fellowship (2018), Young Researcher for Heidelberg Laureate Forum (2017), Rising Stars in EECS (2016), EMSOFT'16 Best Paper finalist, and Robert Bosch Best Verification Award in CPSWeek'15. Her research achievements are also recognized with a Mac Van Valkenburg Research Award (2018), a Yi-Min Wang and Pi-Yu Chung Endowed Research Award (2017), and a Rambus Fellowship (2016). Speaker: Mr. Bradley Turner, Vice President and General Manager, Datatronics Romoland Inc.
Abstract: In this talk, we will analyze generalization and robustness properties of learning algorithms using tools derived from information theory and optimal transport. In statistical learning theory, generalization error is used to quantify the degree to which a supervised machine learning algorithm may overfit to training data. Leveraging recent work [Xu and Raginsky (2017)], we derive information-theoretic generalization error bounds for a broad class of iterative algorithms that are characterized by bounded, noisy updates with Markovian structure, such as stochastic gradient Langevin dynamics (SGLD). We describe certain shortcomings of these information-theoretic bounds, and propose alternate strategies that rely on optimal transport theory. We show that results from optimal transport are well-suited to analyze not only generalization properties, but also robustness properties of learning algorithms. Biography: Varun Jog received his B.Tech. degree in Electrical Engineering from IIT Bombay in 2010, and his Ph.D. in Electrical Engineering and Computer Sciences (EECS) from UC Berkeley in 2015. Since 2016, he is an Assistant Professor at the Electrical and Computer Engineering Department and a fellow at the Grainger Institute for Engineering at the University of Wisconsin - Madison. His research interests include information theory, machine learning, and network science. He is a recipient of the Eli Jury award from the EECS Department at UC Berkeley (2015) and the Jack Keil Wolf student paper award at ISIT 2015. Abstract: While the laws of quantum mechanics have remained unchanged and always validated for the last eighty-five years, new discoveries about the exotic states that they allow, entanglement, and ideas from quantum information theory have greatly changed our perspective, so much so that some talk of a "second quantum revolution" that is currently underway. The discovery of unexpected "topological states of matter", and their possible use for "topologically-protected quantum information processing" is one of the important themes of these developments, and will be reviewed. Some of the early work in the 1980's that began to expose topological quantum matter has already earned Nobel Prizes, including the experimental discoveries of von Klitzing (Integer Quantum Hall Effect, Nobel 1985), and Stormer and Tsui (Fractional Quantum Hall Effect, Nobel 1998), the theoretical discovery of its description by Laughlin (co-laureate, 1998), and the work honored by the recent 2016 prize, which also occured in the 1980's. Given the surprising nature of subsequent recent developments, and the excitement they have generated, it seems likely that more will follow, especially if the current attempts to demonstrate "braiding" become successful. It is no exaggeration to say that, at least in Condensed Matter Physics, the concepts and language used to describe quantum states of matter have dramatically changed since about 1980 as a result of all these developments, in which the quantum property of "entanglement" plays a key role. Biography: Duncan Haldane, who shared the 2016 Nobel Prize for Physics with David Thouless and Michael Kosterlitz, is the Sherman Fairchild University Professor of Physics at Princeton University, a Fellow of the Royal Society of London, and a Foreign Associate of the U.S. National Academy of Sciences. He is also a Fellow of the American Academy of Arts and Sciences, the American Association for the Advancement of Science, the American Physical Society, and the Institute of Physics (UK). Center for Theoretical Physics (Trieste) with Charles Kane and Shou-Cheng Zhang. His work helped to open up new directions and ways of thinking about quantum effects in condensed matter, and in recent years, "topological quantum matter" has grown into a very active experimental field which many believe may provide platforms for "quantum computing". He also initiated the field of "topological photonics". He currently works on "quantum geometry" in the "fractional quantum Hall effect". and mentorship of Philip W. Anderson (Nobel Laureate in Physics 1977), and, before his appointment at Princeton University, worked at the Institut Laue-Langevin (Grenoble, France), the University of Southern California, Bell Laboratories, and the University of California, San Diego. Haldane was born in London in 1951, of mixed Scottish and Slovenian origins. Despite also having three forenames, he is unrelated to the famous biologist J. B. S. Haldane. Biography: Dr. Boneh is a Professor of Computer Science at Stanford University where he heads the applied cryptography group and co-directs the computer security lab. Dr. Boneh's research focuses on applications of cryptography to computer security. His work includes cryptosystems with novel properties, web security, cryptography for blockchains, and cryptanalysis. He is the author of over a 150 publications in the field and is a recipient of the 2014 ACM prize, the 2013 Godel prize, the RSA award in mathematics, and six best paper awards. In 2016 Dr. Boneh was elected to the National Academy of Engineering. The KIUEL Senior Design Expo gives seniors a chance to show off what they've done in their capstone classes. Seniors present their projects to a judging panel of faculty, staff, and industry partners, with winners receiving cash prizes. Freshmen, sophomores, and juniors can learn what types of projects they will work on and vote for their favorite, as well as see how their current classes can be applied to future engineering projects. The Viterbi Robotics Invitational is an annual competition that highlights the increasing role that robotics have in our everyday lives. The competition encourages interactions that leave everyone involved feeling valued with a sense of integrity and teamwork as they seek to solve the wicked problems facing our times such as water security, sustainability and climate change, and terrorism; as well as the Grand Engineering Challenges of advanced health informatics, restoring and improving urban infrastructure, providing access to clean water, preventing nuclear terror and engineering the tools of scientific discovery. Nearly 350 elementary middle and high school students participate in the Robotics Invitational which has been hosted by USC Viterbi for over 13 years.